A Beauty Affair - A Singapore Beauty & Lifestyle Blog! Beauty Reviews & More In Here! 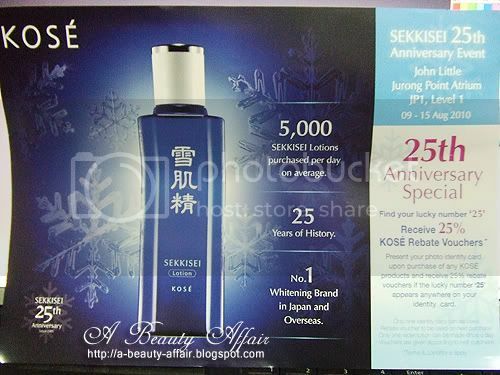 : KOSE Sekkisei 25th Anniversary - PROMOTION! KOSE Sekkisei 25th Anniversary - PROMOTION! Girlfriend bought a number of sets for her friends and also herself. So I eventually gave in to temptation, however, it's a real bargain. If you have always been wanting to try out KOSE products, now is the chance. 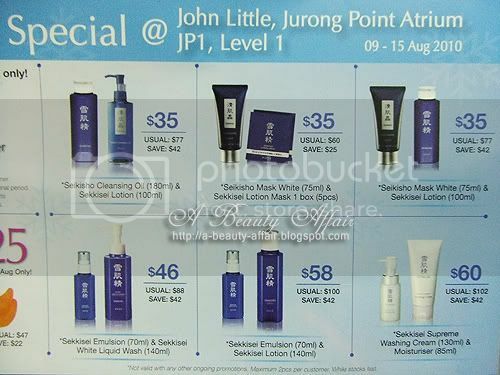 Available at Jurong Point's John Little, come by level 1. Check out the sets available. I bought the first one! $42 savings! How could I say no? ?